How many industries get to have a Ferris wheel at work? 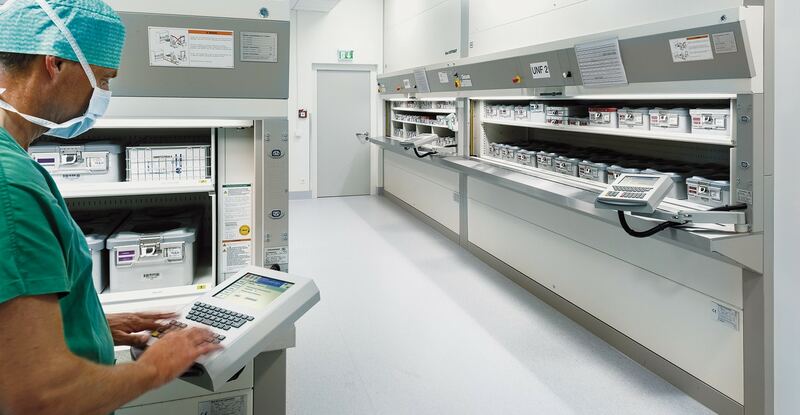 Well, with vertical carousel storage, healthcare institutions can bring a bit of whimsy indoors while gaining space, inventory control, quick access, excellent ergonomics and more. 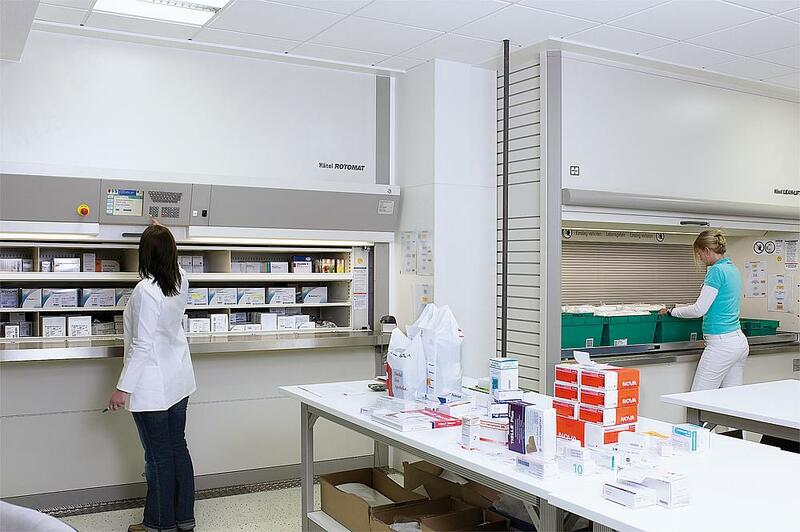 Consider the top benefits healthcare has enjoyed with carousel storage solutions. #1 Space savings. 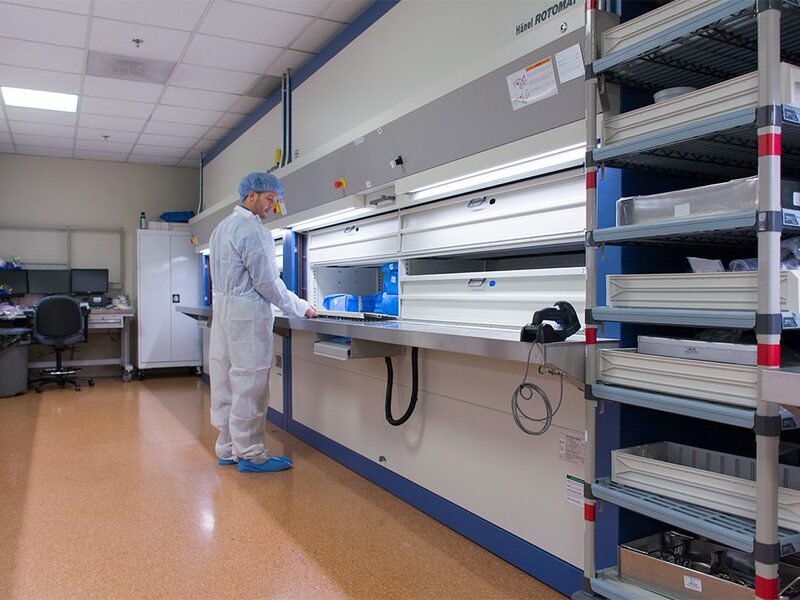 Carousel storage takes patient supplies, surgical instruments or pharmaceutical storage vertical, leveraging otherwise underutilized space. At the same time, you needn’t begin adding a height requirement to job postings. The carousel storage, using the same principle as the fairground Ferris Wheel, is a smart cabinet that lets the user request items from the computer-controlled unit with the touch of a button. With space management customizations to make the most of available room heights, either single-floor or multi-floor, carousel storage can shrink the footprint needed for storage up to 60%. 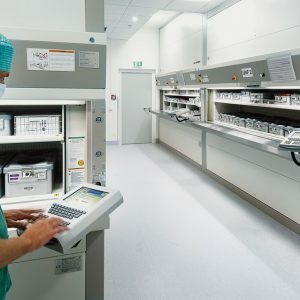 “In any medical facility, [supply storage is] the most expensive footprint that you can have because it’s not actively doing anything; it’s just there,” said Christian Rodgers, Director of Surgical Services at Florida Hospital Wesley Chapel. 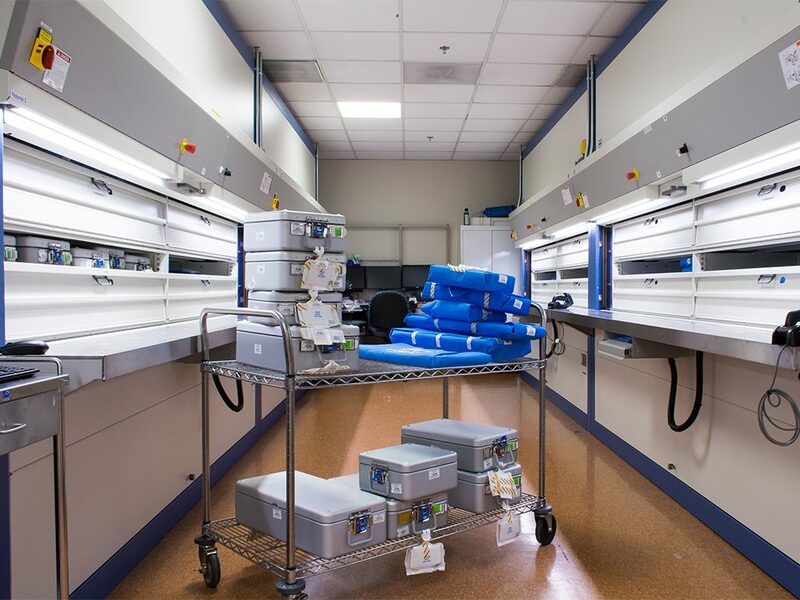 The hospital had only 2,750 square feet in a doglegged storage area serving the operating rooms. Yet, the hospital had doubled the number of ORs and needed to maximize surgical equipment for storage. 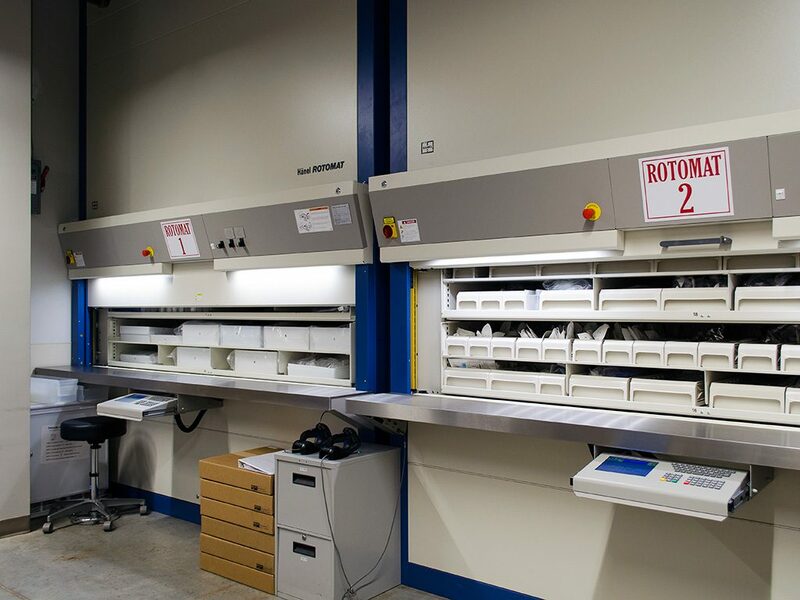 Implementing three eight-foot-tall storage carousels made all the difference. #2 Security. 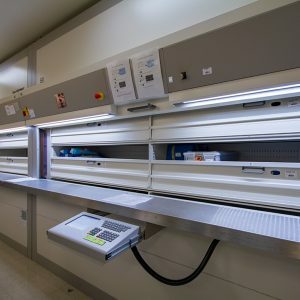 Whether housing pathology specimens, pharmaceuticals, surgical instruments in sterile processing or patient care supplies, these vertical storage units can contain valuable inventory in an enclosed, locked unit. Further protections include password access, keycard swipe, or RFID readers. At Florida Hospital Altamonte, a carousel storage was built into a six-foot shaft just steps from the operating rooms. 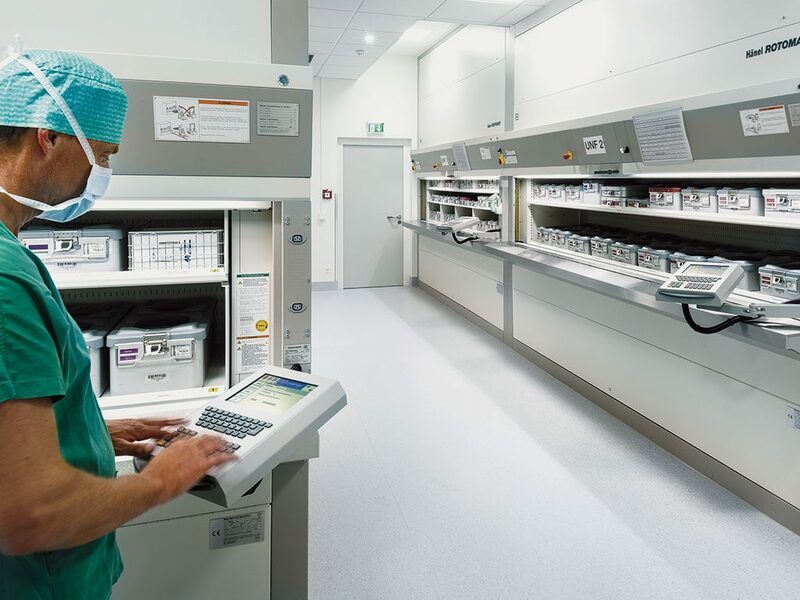 Access control is ensured with employees retrieving surgical instruments using the bar code on their identification. 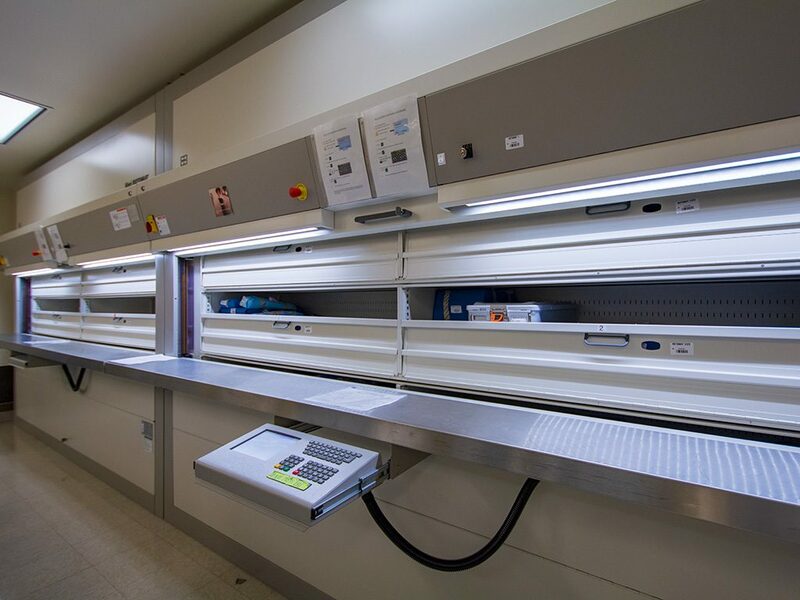 Four additional carousel storage systems were added in another area of the hospital to store items necessary for nursing care. 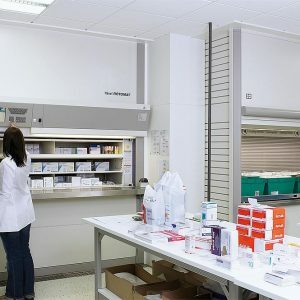 In pharmaceutical use cases it’s advantageous to have closable compartment doors to protect articles from unauthorized access. The computer logs and traces drug retrievals and only drugs selected by barcode or storage number can be withdrawn as the other compartment doors remain magnetically locked. #3 Compliance. 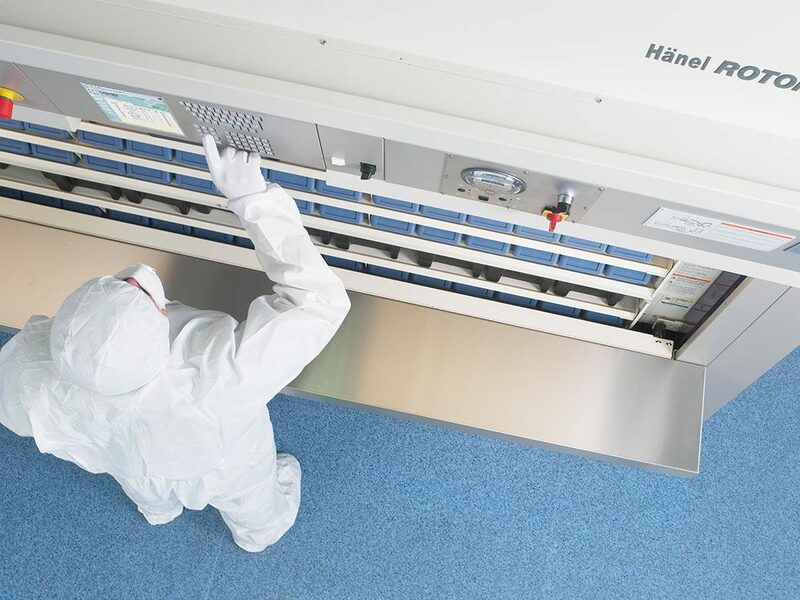 Carousel systems are also designed to offer sterile storage. 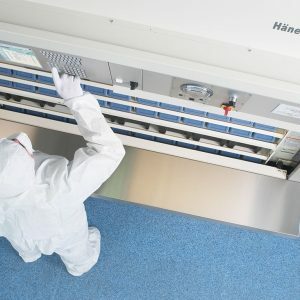 All items are protected during storage, which protects from cross contamination as well as holes and tears in packaging. 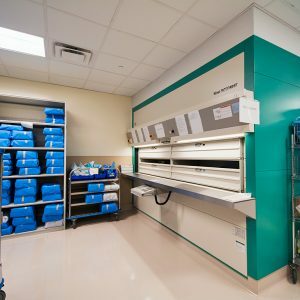 Keeping wrapped instruments in vertical carousel storage has helped Florida Hospital Wesley Chapel “maintain environmental parameters that are required by OSHA, AAMI and other similar organizations,” Rodgers said. 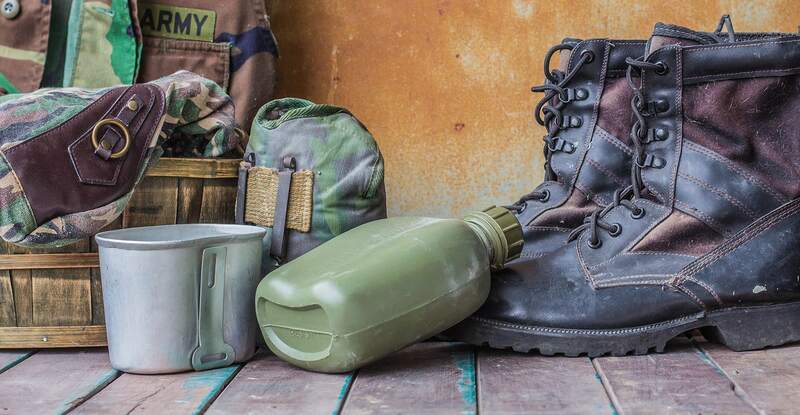 take inventory accuracy to over 99%. Additional inventory management software allows for batch processing, expiration date tracking, external inventory management, user-access control, remote web access and more. #5 Productivity. 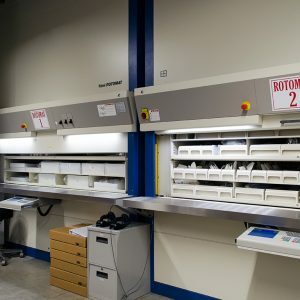 With the electronic carousel delivering items directly to the user, staff save time going back and forth and up and down aisles to find the right items on rack storage. Items are also stored with row and bin specificity on the carousel, which makes stocking and retrieval more convenient and efficient. 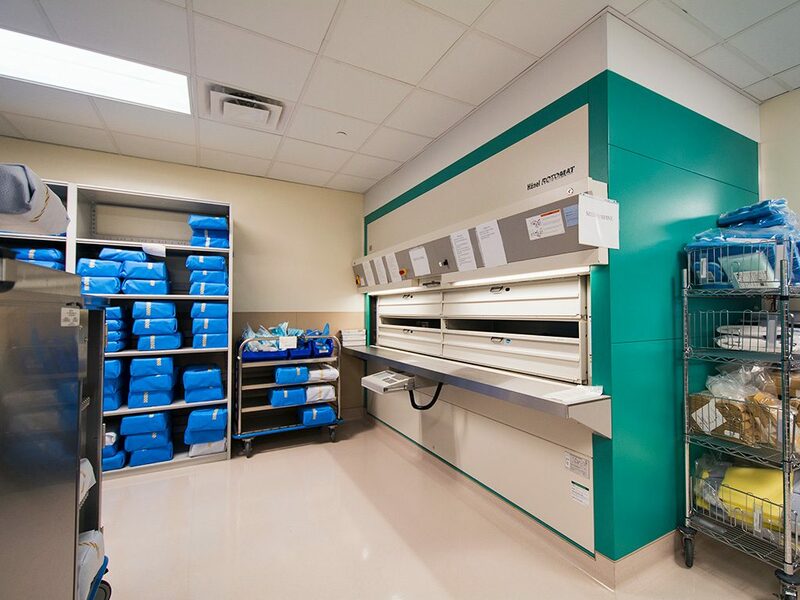 In Florida, the Naples Community Hospital’s freestanding emergency unit had only 460 square feet available for supply storage. Yet, with nearly 14 feet ceiling height, the institution was able to integrate two carousel units for easy, computerized access to its items. #5 Employee health. Eliminating or minimizing work place injuries is a primary goal for hospital leadership. An advantage of carousel storage is the excellent ergonomics. Employees no longer need to stretch, squat, lean or climb to access hard-to-reach items. “Everybody in America comes in different packages. They’re tall, they’re short, everybody has different challenges,” Rodgers said. 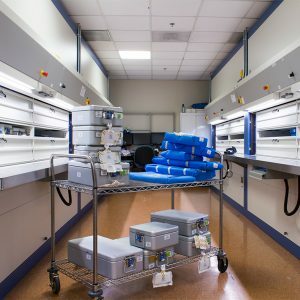 “[The carousel] brings it to you so that it always comes to hip level and that it’s simply pulling it off the machine and putting it in a cart.” In addition to reducing risks of injury, medical staff (and their patients) benefit from the right instruments and supplies always being readily available. Patterson Pope offers the Hänel Rotomat Vertical Carousel. 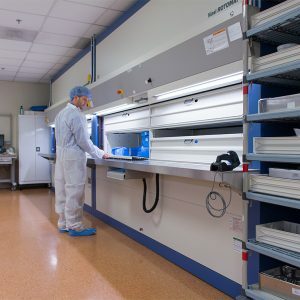 Beyond surgical equipment and other supplies, we’ve seen carousel storage in use for medical file storage, linens and clothing and by hospital maintenance departments. 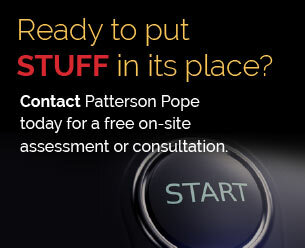 Talk to one of our planning professionals today about the customizations we can offer to match your storage needs. To say that Stuffey was made for this role would be an understatement. A life long hoarder, Stuffey understands how the Laws of Stuff can wreak havoc in the real world of an organization’s space. Now as part of his reformation, he is committed to passing on to you his secrets in our battle against the tyranny of STUFF.